Expired 1wk ago . Last validated 2mo ago . Used 8 times. Freddy This nice deal still works as described. I am reactivating it. Simply enter code at checkout to get this offer. Alberto Natera This offer is valid and works correctly as it was described. 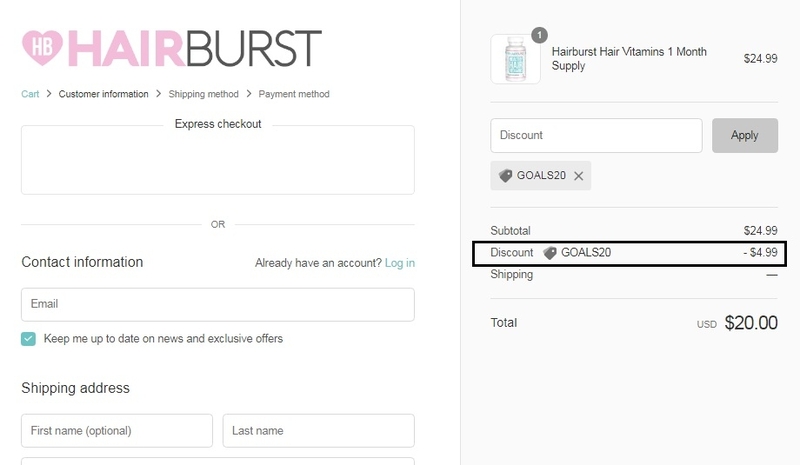 Add your favorite products and apply the code at checkout to get the discount. Gabriela Brito I am re-activating this expired deal. 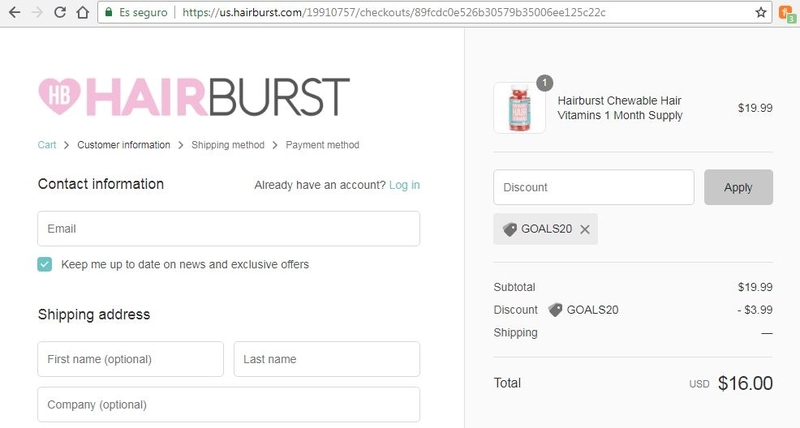 I verify and it works correctly as described, Simply enter the promotional code GOALS20 and enjoy 20% off on your order. 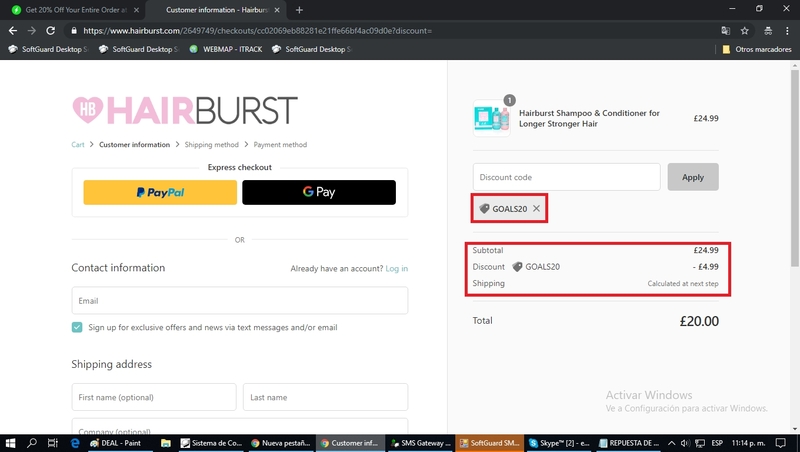 willian tona I have tested this code and is working as described, place it at the checkout and enjoy the discount. nelson eduardo sanchez The code works as indicated. 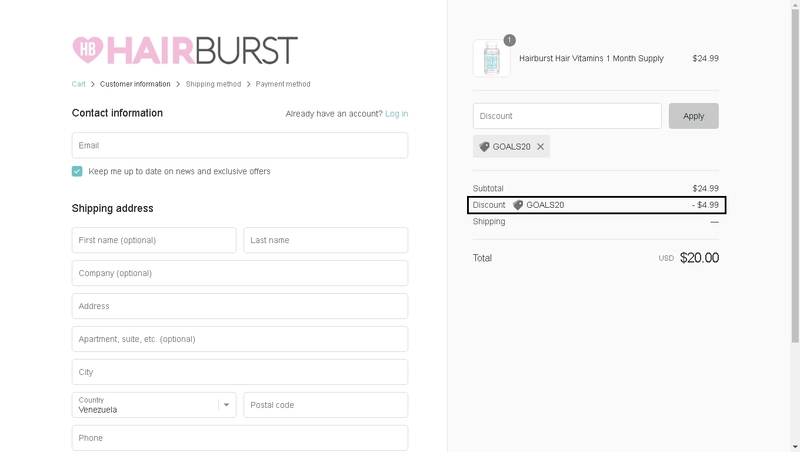 Get 20% Off Your Entire Order at Hairburst (Site-Wide). Some exclusions may apply. Frank Rivero I am validating that this deal works as described. 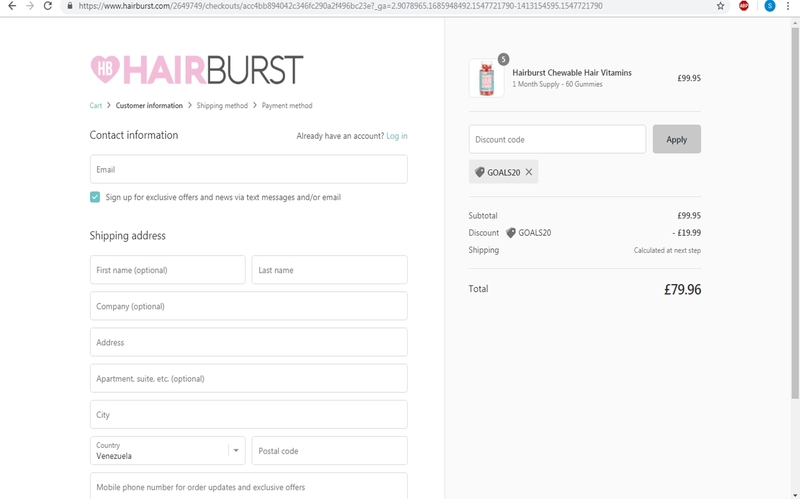 Enter code and Get 20% Off Your Entire Order at Hairburst (Site-Wide). Some exclusions may apply.